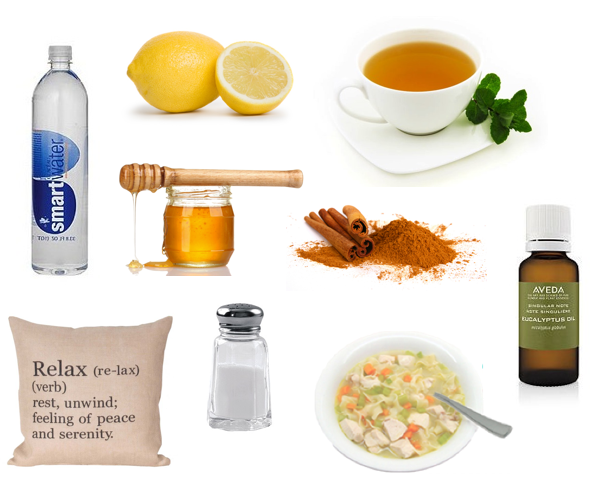 The Resident Tourist: Home Remedies for a Cold . . .
Hi there! Sorry for the slow posts, I've been stuck in bed with a bad cold for the past few days and am just now getting back to it. Ever since I've had heart issues, it's been really tricky when I get sick. I'm not allowed to take any cold medicines, which makes managing symptoms extra tough. As a result I've put in my fair share of research on the best at-home remedies. Thought I'd share, just in case you find yourself picking up a little sniffle during this chilly season. sometimes even stop a cold without visiting the doctor or pharmacy. Drinking plenty of fluids and keeping hydrated is super important when fighting a cold. Squeeze some in your water or tea for an easy detox and a boost of Vitamin C.
Sipping warm peppermint tea helps soothe your throat, calm headaches, and relieve congestion. Apart from soothing a sore throat, this sweet syrup also has anti-viral and anti-bacterial properties. Another tasty anti-viral and anti-bacterial. RT Tip: For two in one, check out my recipe for Cinnamon Honey. Gargle a teaspoon of salt in warm water to bring down pain from a sore throat. Proven to be one of the most beneficial hot fluids to consume when you have a cold, chicken soup clears nasal congestion and acts as an anti-inflammatory. A few drops of Eucalyptus oil in your bath will ease congestion and open up your bronchial tubes. it also helps with nasal draining. I know I've been guilty of not adhering to this one, but the most important thing you can do when sick is rest up - it gives your body a much needed break and helps direct all its energy toward fighting off the cold. I manage a blog on natural remedies for common ailments such as arthritis, diabetes, acne, anxiety, rosacea, etc. Would you please consider adding my blog to your publicly shown list of blogs that you follow ? If you do add my blog to your list, please let me know by contacting me, using the contact info on my blog. I will immediately return the favor. Thanks so much!